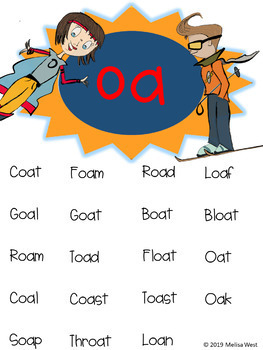 You need high interest stories that focus on long o vowel combinations (o_e, oa, ow, oe). Your students will love to meet my superhero characters. 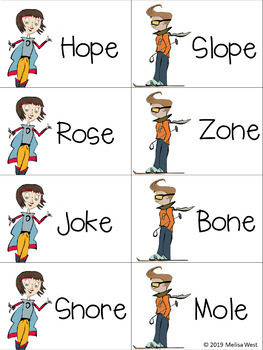 Hope and Joe will help teach your students the long vowel combinations in a fun way! Keep reading to see what is included in this fun filled product. This product is Common Core Aligned (2nd Grade). I believe this product will be beneficial for any grade level that needs this skill reinforced. See the list of standards below. A visualization worksheet is included with each story. I also have a very similar product focused on long a vowel combinations. Your students will have the opportunity to meet 2 new super hero characters. Click below to see that product. If you and your students love superheros, please click the link below. 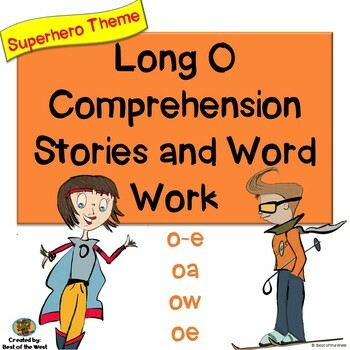 This product focuses on the long vowel with sneaky e. This will give your students the opportunity to meet many more superheroes. Looking for more fun reading activities? Check out this products that will get your students up and moving. Don't forget to follow my store while you are here. All of my new products are 50% off for the first 24 hours. Don't miss out on the savings.